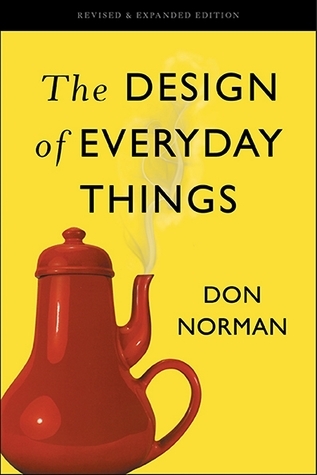 I’m taking a class on “Web Usability”, and our first assigned reading is The Design of Everyday Things by Don Norman. This is a very readable tour through design principles that can help us create devices and systems that are easy and even enjoyable to use. The book is peppered with interesting examples of bizarre or cryptic designs. Norman seems particularly fond of talking about light switches (such a simple device, and yet so many are hard to use!). As a pilot, I also enjoyed the frequent examples he cited from the world of aviation, where a bad interface can mean the difference between life and death. However, he also says that his personal rule is to avoid criticizing unless he has a solution to offer. Now there’s a high bar! Norman identifies “discoverability” (can you figure out what actions are possible?) and “understanding” (do you know what the controls/displays mean?) as key components of good design. He also emphasizes the importance of a user having a good “conceptual model” of the device – even if that model is inaccurate in a technical sense. A successful model is one that allows the user to operate the device successfully. I also found his discussion of the balance between “knowledge in the head” (memory and learned skills) versus “knowledge in the world” (objects, signs, instructions) to be thought-provoking. It makes sense to try to strike a good balance between how much advance training/prep the user needs versus how much they’ll have to read/learn/absorb while using the device. Going too far in either direction makes things harder to operate. One of the biggest takeaways for me was his encouragement to remove the concept of “error” from an interface. He points out that when we don’t understand something another human says, we don’t say “You made a speaking error.” Instead, we interact and try to figure out what meaning was intended. Similarly, devices (and computer programs) could shift from “error” feedback to help or guidance that aids the user in specifying their intent in the form that is needed. He suggests that we think of a user action as an approximation to what is desired, and help the user to improve it. Great idea! Chapter 5 is devoted to an analysis of errors: different types, different causes, and different remedies. I like the suggestion to treat errors as learning opportunities (for the user and for the designer); we can brainstorm ways that the error could be entirely precluded in the future. I will be on the lookout for ways to apply this in my ongoing flight training. In my class this semester on Maker Spaces, we covered topics that ranged from how kids and teens use media to interact and learn from their increasingly digital world to how to create a physical space that invites participation and increases in value and interest as more people interact with it. What stood out to me was the variety of ways to make learning hands-on, interactive, and participatory. Hanging Out discussed how kids (and people) spontaneously seek out resources and guidance to improve their skill at a favorite hobby, and the Internet provides that access with historically unprecedented ease. Invent to Learn provides pedagogical motivation for hands-on learning and covers today’s new tools and technologies that enable easy physical prototyping of ideas and inventions. The biggest gold mine of new ideas, for me, was The Participatory Museum. I thoroughly enjoyed reading about all of the creative and interactive exhibits people had designed for a wide variety of topics, from native cultures to a voyage to Mars. This book opened my eyes to what is possible, going beyond the interactive style of exhibits to those that enable new kinds of participation. The primary difference is that a participatory exhibit changes as visitors interact with it; they leave some trace. This might be a vote, an opinion, a comment, a creation, an artifact, or some other tangible evidence of their interaction. Further, as more people use, it becomes more interesting and informative. Visitors gain something by seeing what other visitors have contributed. As Simon notes, not every exhibit needs to have these properties. But I have found this idea to expand my sense of what is possible. I also found the course assignments to be fascinating and challenging. They really made me stretch. In the first project, I had to choose a type of game that I’ve never played before, then play it for a few hours and analyze my learning experience. In the second project, I sought out a social media conversation and analyzed the structure of the conversation as well as participant behaviors. It felt like I got to put on a sociologist’s hat and study a native population. In the third project, I took a trip to the Science Center and analyzed their interactive displays from the perspective of The Participatory Museum. In the fourth project, I had to find a maker project that gave me the chance to make something I’d never made before. The cardboard automata I made was a lot of work but very rewarding! The final project for the class asked us to design our own maker space, using everything we’d learned over the course of the semester. I had a lot of fun designing a creative space for the Monrovia Public Library that integrates a topic of local interest (the Gold Line Metro extension) and computational thinking principles. The project had us write this up as a proposal, so the space isn’t yet a reality — but I’d love to discuss it for real with the library. 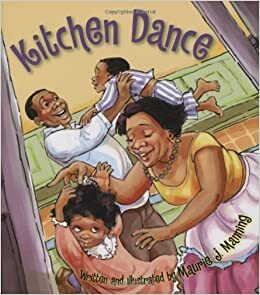 Overall, this class was a lot of work, in terms of reading and doing, but it also provided a lot of learning. And that’s why I’m here taking these classes in the first place! Elena Solomon wrote a paper titled “Homemade and Hell Raising Through Craft, Activism, and Do-It-Yourself Culture”. This paper, published in the Journal of PsychNology (that is not a typo), begins with the interesting claim that while crafters and DIY-ers tend to take pride in the self-sufficiency demonstrated by their crafts and projects, this stands in seeming contradiction to their common dependence on DIY gathering spaces (real or virtual). 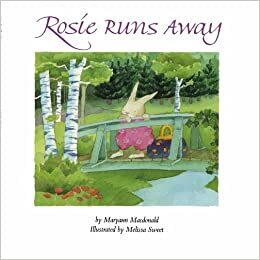 In most cases, we learn to craft from others (in person, from tutorials, from examples, from books, from videos…), and even after gaining skill, we seek to share the results with other people, or sell them to other people, or get feedback from other people… Witness etsy.com, ravelry.com, etc. Do It Yourself might in some cases be better phrased as Do It Yourself With Others. Or at least that’s the argument I think the author wanted to make. While this was the teaser, and that’s what the article claimed to be focusing on, the paper then veers off into an analysis of “craftivism,” which I gather is when you use crafts to make political statements. 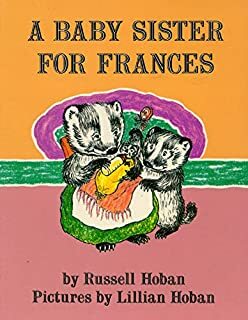 My first thought was, of course, of Madame Defarge. Solomon first describes existing craft websites as “jarringly apolitical” (I am not sure what she expected to find), a phenomenon she attributes to “the DIY movement’s highly political ties with consumerism.” I think this is trying to say that craft sites are not political because they are created? controlled? motivated by? businesses selling craft supplies. It’s not quite clear. I read that excerpt at least five times before admitting defeat. I have no idea what this is saying. Much more entertaining is the list of “craftivist” activities in this article. While Defarge doesn’t make an appearance, Chilean women who were imprisoned and oppressed do. These women sewed arpilleras to tell their stories and ask about missing loved ones, while living in fear of punishment. Barb Hunt knitted a series of anti-personnel land mines to protest their use worldwide. I can’t claim to have performed any acts of craftivism myself. What’s your favorite example? Cardboard automata are machines made out of cardboard. They are often operated by a hand crank or dial to initiate the motion. As the primary axle turns, cams attached to it cause cam followers to rise, fall, or spin, depending on their geometry. Just based on that description, who could resist diving in immediately to make one? Plus, I had an assignment from my Maker Space class to “make something you’ve never made before.” Bingo! I discovered an excellent set of instructions, with pictures, created by The PIE (Play – Invent – Explore) Institute. I decided it would be a fun challenge to make as much of the project as possible out of “found” (available) items in my home. 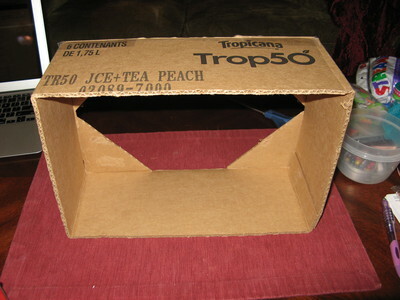 I cut a cardboard box in half, then reinforced the corners to prevent it from collapsing sideways. I cut a hole in each side of the box to connect an axle across it. The instructions suggested using skewers for the axle and cam shafts, but since I didn’t have any, I instead used some wooden dowels I had lying around. I thought they might create a more sturdy result. However, I didn’t have a dowel long enough to span the box, so I temporarily taped three dowels together to build my first prototype. I cut out some cams out of craft foam and slid them onto the axle at different positions. 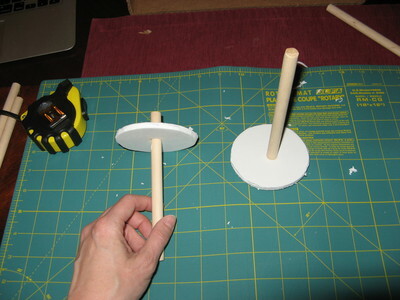 I also created three cam followers by cutting circles out of the foam and inserting more dowels into their centers. Then I cut three holes in the top of the box for the cam followers and connected everything together. I chose three different cam designs for my three units. The middle cam is round and centered, which generates rotation in the cam follower. The left cam is egg-shaped, which generates rotation and vertical motion. The two right cams are round but off center, and they are positioned to be 180 degrees out of phase. Therefore, they alternate in their contact with the cam follower, which goes up and down and alternates between clockwise and counter-clockwise rotation. At this point, when I turned the axle, the dowels wiggled back and forth and sometimes moved themselves off their cams. I consulted the instructions, which advised inserting drinking straws into the top holes so the skewers have a strong guide to keep them aligned. 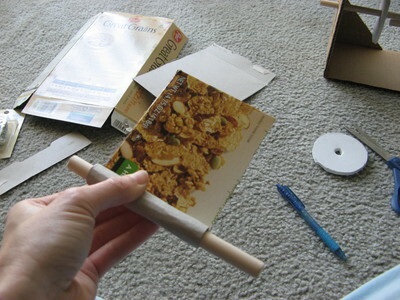 My dowels were far too thick for straws, so I cut up a cereal box to get a firm yet shapeable cardboard sheet. I rolled this cardboard to create tubes that were just slightly larger than the cam shaft dowels. The machine’s performance improved dramatically, and I decided it was time to glue everything down: the tubes in their holes, the cam followers to their shafts, and the cams to the axle. And it worked! Once I had a working machine, I was free to add whatever design elements I wanted. Extending the cardboard design theme, I found instructions for how to make flowers from toilet paper rolls as well as a sprout/palm-like plant for the middle cam shaft. I glued green paper and brown felt onto the top to give it a nature-inspired look, added some paper flowers, and cut out a paper backdrop of twisting grass shapes to accentuate the feeling of motion. Finally, I used colored markers to decorate the cam followers so that their motion (and its direction) is more visually evident, since the mechanism is a focal point of the project. Here is a longer video that explains the parts of the machine. 10 of 10 people learned something from this entry.